Wine Hangover Cure. Red Or White Wine – Which Is Worse? Many people often experience a headache after drinking wine or a terrible morning-after; this could be related to some reasons. Nausea, the feeling of drowsiness along with other symptoms often leave people asking how much drink is safe and is there a difference in wine components across colors. It is important to understand the precepts of wine hangover to understand what quantity is too little, too much, and symptoms associated with excess intake. What are the causes of wine hangover? What are the symptoms of wine hangover? Do different types of wines give different hangovers? How much wine will cause a hangover? Various wine contains alcohol in quantities depending on content and fermentation processes. A headache after wine can be one of the symptoms of toxicity as wines are one of the common causes of sickly morning afters. Does wine dehydrate you or impose a feeling of nausea with severe headache and weakness? Then there is a good chance that one may be hungover. One thing to also keep in mind is that wines differ in color, composition, and toxicity potential; this is to say that red wine hangover may occur differently from that of white wines. Let’s take a look at the conditions leading to after effects of drinking. There have been a lot of wine-related controversies such as getting food poisoning from red wine. One of the most popular is the sulfite morning after myth. Yes, sulfite can present with negative symptoms such as asthma. However, they are not responsible for overall nausea. The chemical known as histamine is often present in many food substances that have aged due to preservation mechanisms and an inclusive fermentation process such as dried meat, red-grape alcohol, and other edible products. Histamines are also present in our bodies and are released during allergic reactions. They cause allergic reactions such as headaches, runny nose, sneezing, and others. The skin, stem, and seeds of grapes used in the production of red-grape alcohol contain natural compounds known as tannins. They are especially present in a darker grape-based beverage such as Merlot, Pinot noir, and may induce toxic effects. Why does wine cause diarrhea? This question has mostly been related to red-grape alcohol. Many people have reported that red wine causes an upset stomach. Even though tannins in red grape alcohol are a good source of antioxidants tannins sometimes react in a way that restricts the production and secretion of digestive enzymes which may be the cause of the red wine and diarrhea connection. Sugar is related to alcohol through fermentation and both of them together is a recipe for a headache. The dehydrating effect of alcohol in the body and reduced blood sugar leads to increased blood pressures resulting in headaches, nausea, and other toxicity effects. This effect isn’t just limited to wines but also with other alcohol beverages like tequila in your system. The direct effect of drinking includes headaches, dehydration, low blood sugar, and gastrointestinal issues. Some symptoms of sickly morning afters like increased heart rate, sweating, tremors may be due to alcoholic wine withdrawal, causing nervous reactions. How does white wine hangover compare to red grape alcohol in terms of severity? Red grape alcohol typically contains a lot more histamine and congeners (found in skin and seeds of grapes) than whites. This makes them potentially stronger and able to produce more toxic effects. White wines are made from the fermentation of white grapes after separating its skin from the grapes while red grape alcohol is made from the fermentation of darker grapes. Red and black grapes are processed with its skin fully present in the fermentation process. This means that the red grapes have more congeners which lead to an increase in toxicity. Which wine causes more hangovers red or white? Hangovers are a mild form of alcohol poisoning. The ill feeling of hangovers is largely due to the ingredients used in manufacturing these alcoholic wines. In comparison, red grape alcohol causes worse morning afters than the whites. Why? Red grape alcohol beverages contain more congeners such as acetone, esters, acetaldehyde, aldehydes, and tannins which are byproducts in the fermentation process. 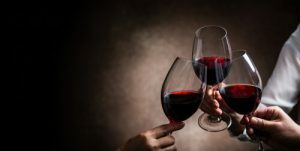 Tannins prevent oxidation while other congeners are impurities formed during fermentation which gives the drink its dark color, flavor, toxicity and contributes to higher levels of hangovers. Does mixing both wines increase the severity of hangover? It is never a good idea to mix alcoholic drinks, whether grain or grape. As the saying goes, “beer before liquor never been sicker.” There are many cases where people experienced stomach pains after drinking beer, especially when the light and dark ones were mixed. The same works for grape-based beverages. This reaction is not just due to the alcoholic content of both beverages but also due to the presence of congeners which increases the toxicity and severity of hangovers. The ABV in the two bottles can differ, as well as the manufacturing and fermentation processes. Their interaction if consumed together is hardly predictable. Thus, it is always better to stick to the same Chardonnay or Merlot throughout the whole evening, without switching to another color. The obvious reason for variations in toxicities is the difference in wine alcohol content. The best way to mitigate hangovers is to stick to low alcohol content grape drinks or non-alcoholics which is essentially no hangover wine. Impurities such as congeners form during wine fermentation. These compounds are toxic and greatly alter the system. The darker the grape-based beverages are, the more congeners they contain. The grape-based beverage manufacturing processes such as fermentation, distillation and the likes differ from one brand to the other. Some techniques such as fermentation may be prolonged in some drinks than others which alter chemical compositions increasing alcohol content, histamines, and other content. These processes can alter the severity of hangovers. Tannins found in the skin of red and black grapes are largely responsible for the dark color of grape-based beverages. The darker the beverage, the more likely it is to cause a terrible hangover. Natural and artificial flavors are often added to alter properties of grape-based beverages. Alcoholic drinks such as Champagne fall into the carbonated content category. The problem with the effervescence is that the bubbles contain carbon dioxide which propels alcohol content into the bloodstream faster than regular alcoholic drinks. This leads to faster intoxication, dehydration, migraine, and a spike in insulin levels. The best champagne hangover cure is restraint. Hangovers can be sickening so, it would be best to understand one’s system and how much grape-based beverage is a bit too much. So, how much wine is good for you? Alcohol is generally toxic depending on these factors: concentration, personal tolerance, level of hydration, the speed of consumption, age, weight, gender, type of wine and other factors. Dedicated drinkers who know how to drink whiskey without hangover usually recommend drinking them without sugary drinks. This applies to grape-based beverage consumption. Avoid mixes with sugary drinks as they can make the morning even worse. For a man, hangovers are possible within 5-7 standard cocktail drinks if consumed within the space of 4 to 6 hours. For women, 3-5 drinks consumed within the same period can lead to hangovers. This is due to the difference in metabolic processes in both genders. The simplest way to avoid seeking a wine hangover cure is to drink mildly and responsibly. This ensures that one does not experience the toxicity of alcohol at any point in time. Vitamins are also recommended as a medication for morning afters especially Vitamins B and C. Does wine have vitamin C, just as the grapes they are made out of? Does vitamin C in the grapes mitigate the after-effects of a night out? Alcohol is a known diuretic and leads to loss of vitamins in just one night out. Grape-based beverages zap all the vitamin and minerals in the body especially the “reds.” Vitamins, themselves, return the body to its normal condition, boosting metabolism and reducing alcohol cravings. Wines contain various components that can cause hangovers when one overindulges. It’s best to understand one’s limits or better yet, abstain completely. In case a person is unable to stay abstinent, it might be a sign of dependence. In such case, alcoholism treatment may be required. Contacting the recovery centers for alcohol abuse is the safest and easiest way to cope with the inner demons of addiction. 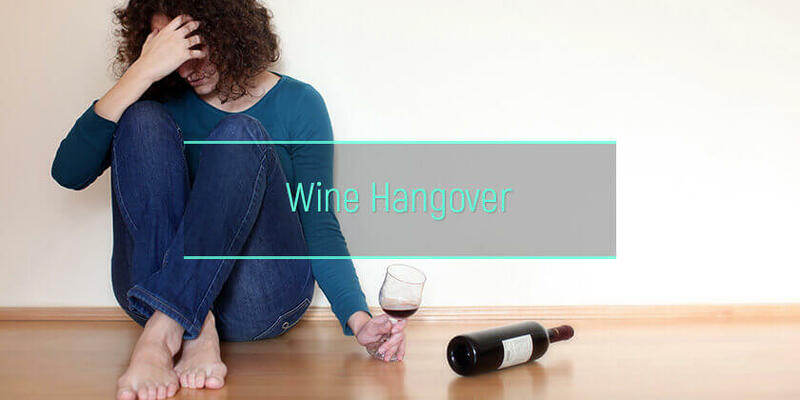 AlcoRehab » Hangover Symptoms, Causes, And Side Effects » Hangover And Mixing Alcohol: Different Types Of Crapulence » Wine Hangover Cure. Red Or White Wine – Which Is Worse?